Amazon Mobile Optimization For A Powerful Relevance Boost is the newest release in a series about Dominating Amazon Product Listings. This post will guide you through the changes necessary to ensure your product listings are optimized for mobile viewing. Topics already addressed include the different Business Models available, Amazon Product Ranking, Amazon Launch List, & creating Product Listing Bundles. Additional posts covering competitive analysis, keyword & listing optimization, copy-writing, audience targeting and more will follow. Amazon Mobile Optimization for Product Listings should be equally as important as crafting the perfect keyword optimized title. To not have mobile optimization techniques top of mind when putting together a listing can almost be compared to not using any search terms and blowing search engine optimization. Why? 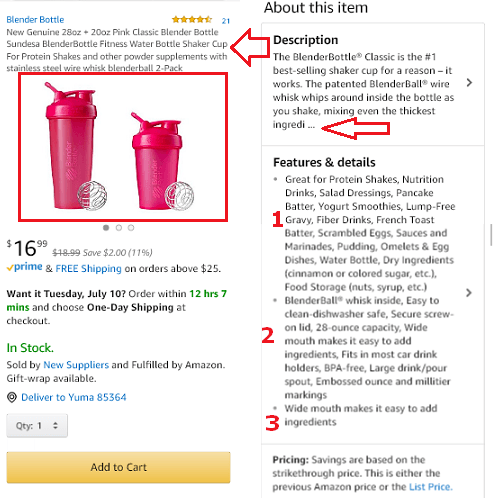 Because an Amazon product listing is not optimized for Amazon mobile shoppers by default. The visual presentation is different from a desktop to an iphone to other mobile devices. Your product ranking on Amazon depends on your ability to optimize to be found and to optimize to convert. Now more than every your ability to optimize to convert on mobile is necessary. NEWS FLASH: IT IS 2019, AMAZON IS NOT A RESPONSIVE WEBSITE. AT LEAST HALF OF YOUR BUYERS ARE ON MOBILE APPS. THAT MEANS MOBILE OPTIMIZATION IS YOUR RESPONSIBILITY. On Prime Day, Amazon app usage traditionally spikes. Now is as good of a time as any to optimize your amazon listings at the very least and ensure they are mobile optimized to improve your organic listings rate also. Optimizing your product listings to improve the experience for the amazon mobile user will also improve your amazon mobile conversion rate. Very few sellers optimize for mobile or take advantage of creating mobile-optimized listing. If you change your listing optimization strategy, you will sell more, convert better and have an advantage over your competition! Take advantage of the easy opportunity to improve conversion rates by ensuring that you have a listing optimized for amazon mobile users including iphones, android and other cell and cellphone items. With statistics as high as the numbers listed above and year over year increases what they are, why isn't mobile optimization a standout KPI for sellers? Why do we focus on desktop optimization when mobile is clearly dominating or about to dominate most categories? There are a few fluke categories not quite at those numbers. Studies show that replacement auto parts are initially viewed primarily on mobile but the actual purchase completed on a desktop. It leads you to picture the customer at the repair shop frantically using his phone to check parts prices after the shop gave him an estimate. Then going home and making the purchase later once they had the repairs all lined up. If you like this post, please share it with someone else that can benefit from applying these optimizations. Optimizing your content for mobile will lead to increased sales (conversions). This increases relevancy because you are giving the buyer the info they need in the allotted space which increases buyer satisfaction. Increased buyer satisfaction....this could theoretically also improve your reviews completions because you stand out as opposed to the millions of sellers not optimizing for mobile. For this article, I did a search for multiple different products across categories. A few items to take note of: The results were different from desktop to mobile. Mobile results seemed more relevant to the search performed. You are not going to have every different device to see how your listings will look. What you do have in your browser is a tool to emulate the different devices easily right on your screen. In Chrome, right-click anywhere on the screen and choose Inspect. This opens the Chrome Developer Tools window. Locate the icons pictured below and click it. You will see your screen transform into a mobile phone emulator. Be sure to first refresh your screen so the contents resize. You can change device types and mode right above the emulator. Firefox works the exact same way, right-click anywhere on the screen and choose Inspect element. Locate the icon as pictured below and click it. It provides the same features as chrome. The order of presentation changes. On Mobile, the order of presentation is Title, Images, availability. buy now button, other sellers link frequently bought together, sponsored products, A+ & EBC, Description, Bullets, frequently bought together, questions asked, more sponsored products, reviews, and finally additional marketing to lure them elsewhere. A noticeable recent change, up until 3 weeks ago, reviews immediately followed the bullets, now they are at the bottom. The image to the right represents two different parts of the listing. 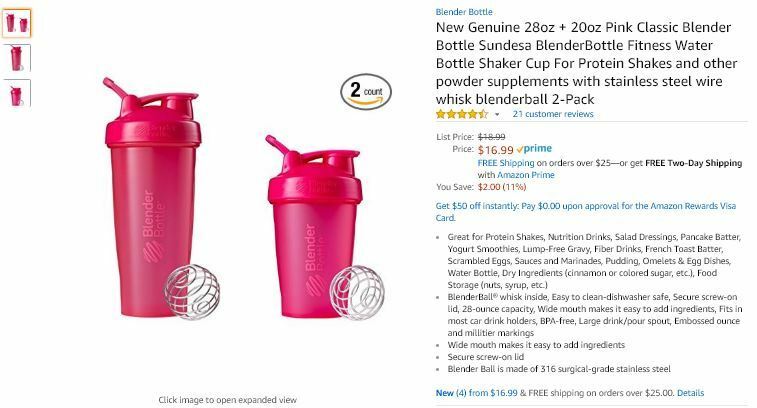 There is a lot of the typical Amazon promotional garbage between the buy box and the description/bullets. This is concerning because now the buyer is presenter with multiple distracting cta's before they get to your description and bullets . PRO TIP: Amazon is is a constant state of flux because they use the different categories as a sandbox. Every category is slightly different and non are consistent. Always view your listings on different devices to ensure that they look good and you are making 100% use of the items available to you for optimization. Depending on the mobile device tested, we noticed the font was a different size which affected how much of the title appears. With mobile this affects the titles of listings, search results, sponsored ads and side placement ads. If you are the type to cram 500 characters in a title, expect it to not all show. This means it is essential that you put the most important words in the first 60 to 80 characters. On mobile, the description appears before the bullets, and only the first 200 characters are shown. It is imperative that you craft your descriptions with this knowledge as a basis for design. Many sellers put minimal effort into the description. I would say this shows it is worth all the effort it deserves. Prioritize your description layout wisely. Include a call to action just before the 200 character mark. On mobile devices, only three bullet points appear. That means you need to prioritize your bullets points putting what is most important to your audience in the first three bullets. How would you figure out which bullets -benefits - features are most important to the buyers? Studying the reviews and questions asked on your listing, and your competitor's listings should indicate what your audience considers to be the most important. Reword the resulting benefit to include your keywords. Solve their pain points! It is best to include a call to action in bullet number 3 as well. Images require the least amount of changes. However, we have found that a small shift in how we take all pictures makes them appear much better on all mobile. Take your phone out and look at the shape of the screen. It is a rectangle, not square. We transitioned all of our imagery from squares to more of a rectangle several years ago when mobile was first picking up steam. As a result, our products take up more of the available real estate on a mobile screen. Mobile presentation layouts give the buyer multiple cta's to leave the page before getting to the strongest part of the listing, the description and bullets. This makes the quality of your images all the more important. The listing example above contains 2 plain images. There is nothing to entice the buyer to stay on the listing and read the description. 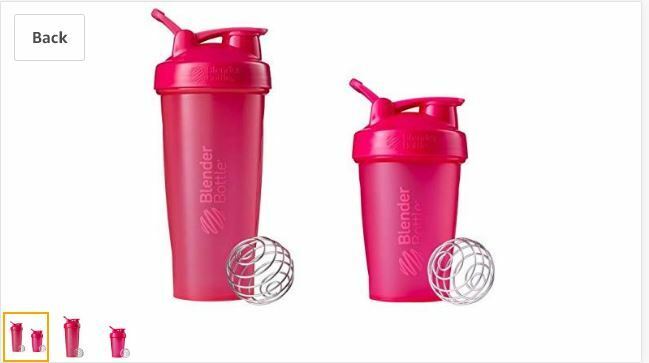 If this listing had 2 to 4 more images with each image calling out and showing a specific benefit, it will help keep them involved and interested with your product. Time on page is measured by Amazon as a relevance indicator. Give them a reason to stay on page and want more information. In the main listing display, thumbnails have disappeared. We must rely on the potential buyers' knowledge of the need to swipe to see additional images. In the image example above, thumbnails are shown because the images are carousel is activated in landscape mode. At the product listing level, videos are displayed like images. In terms of mobile, the buyers' knowledge of swiping to see additional images is key. Amazon Video Shorts are best thought of as infomercials. They can be generic and apply to classes of products or they can be product specific and used to drive additional traffic to a listing. Video shorts are a great way to show unboxing or instructional videos. Each video refers to a specific asin in the name. I'd recommend also sharing these videos on social sites, Instagram, Google+ etc... for additional traffic driven right to the video URL. Amazon Listing Mobile Optimization will fine tune the relevance of your existing listing. This leads to better search results & additional clicks, giving you the opportunity to increase conversions and sales which ultimately should increase buyer completion and satisfaction. Incorporate this into your listing planning today. If you truly understand your audience, their motivation for needing your product and how to communicate the right message, then fine tuning your listing for relevance will only add to the success of the listing overall. What should you do now? First, hopefully, you now realize the importance of Quality over Quantity and that pinpoint relevance is a must. The true available real estate to get your message across just got much smaller. Remember though, you are still indexed for the full amount of bullets etc. If you think you can ignore the importance and implications, go right ahead. Those sellers that optimize for mobile say thank you very much, you make their job easier.